Learn more about Hibernate with these top five courses. Hibernate is one of the essential frameworks for Java, Java EE, and JEE programmers, especially if you are working on the server side of a Java web development project. It's an ORM tool that allows you to deal with only objects while Hibernate takes care of your data on your behalf. For example, instead of writing classes with SQL to load, save, and update data using the DAO design pattern, you can simply use the Hibernate framework in your project. It will allow you to deal with just objects while it loads, saves, and updates data in the background. Instead of loading and saving data to/from the database and then populating objects, Hibernate gives you a readymade object and takes care of updating data when the state of object changes. Keep in mind, this is just one benefit of using Hibernate, another one is that it provides inbuilt caching. Hibernate maintains a couple of caches, e.g. first level, second level, and query cache, which can hold frequently-used data to improve the performance of your Java application. You don't need to worry about data getting scale or the cache growing bigger and bigger; Hibernate can manage both cache eviction and how to keep it up-to-date. If you only use Hibernate to touch your data, then it will always be up-to-date. The use of Hibernate also makes your application more portable; for example, if, tomorrow, your company decides to switch to Oracle from Microsoft SQL Server, or MySQL to PostgreSQL, you don't need to re-write any SQL query. All you need to do is change the SQL dialect in Hibernate configuration file and you are done. Had you opted for writing Data Access Object and SQL, you would have to re-write most of your SQL to port your application from one database to another. I had this experience in the past where we moved from Oracle to SQL Server and had to spend considerable time re-writing stuff that I didn't want. Keep in mind, if you have to do the same move, check out this link to learn about how I ported some of the SQL queries from Oracle to the SQL server. On a similar note, you don't need to tightly couple your code to Hibernate; you can use JPA (Java Persistence API), a standard API for the persistence layer of Java application. 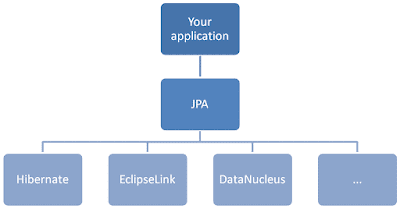 Hibernate is just one implementation of JPA, and if your company switches to another implementation, like TopLink, then you can easily switch to that if you use JPA APIs. I have been sharing some useful resources for Java developers, and this is the second article in the series of learning essential frameworks for Java developers. 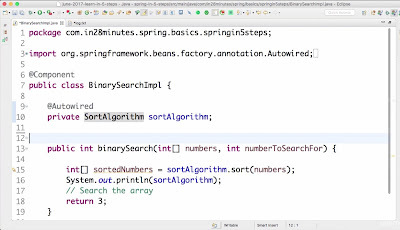 In the past, I have shared online courses to learn Spring framework, and today, I'll share some of the useful Hibernate and JPA courses for Java developers. You can take these training courses from the comfort of your home and office to learn these important technologies at your own pace. Given the importance of Hibernate and JPA, it's useful for Java developers to learn these APIs and frameworks. It will not only make your resume more attractive but also make you eligible for different jobs looking for Java developers with Spring and Hibernate experience. If you are a Java programmer that wants to learn fundamentals of Hibernate, JPA, and other advanced topics of Java Persistence with Hibernate, then this is the right course for you. In this course, you will learn Hibernate 4.3.5. Final (and applicable updates for Hibernate 5.0), and learn how to use Hibernate as a JPA provider. You'll also learn the fundamentals and some of the advanced JPA features for object/relational mapping, querying, caching, performance, and concurrency. This one is another great course to learn the basics of Hibernate and JPA. This online training course will teach you the basics of object-relational mapping and Hibernate. After that, you learn more about basic mapping annotations, mapping composite and collection types, and entity associations. This video tutorial covers Hibernate API, JPA API, advanced mapping and configurations, and the criteria API. The course will also cover the Hibernate query language and Java Persistence query language, which allows you to specify SQL in a database-vendor-independent way. This is one of the hands-on course to learn the fundamentals of Java Persistence API (JPA) and Hibernate framework using Spring and Spring Boot. You will learn the basics of JPA and Hibernate — Entities, Relationships, Inheritance Mappings, and Annotations. It also covers JPA and Hibernates relationships in-depth, looking at one-to-one, many-to-one, and many-to-many approaches to querying data using JPA and Hibernate — JPQL, Criteria API, and Native Queries. You will also learn about caching and the basis of performance tuning your JPA application with Hibernate: Solve N+1 Queries Issues. 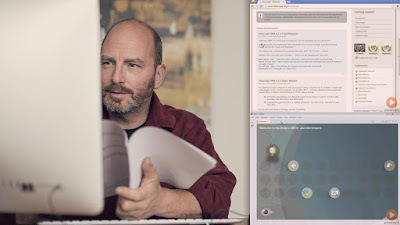 This is another good online Hibernate training course that provides a complete introduction to the Hibernate and the concept of Object-Relational Mapping (ORM). 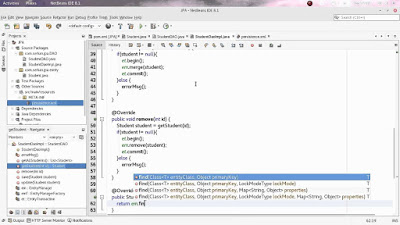 You will also learn how to use Hibernate to write Java applications that connect to a relational database. Sometimes, for beginners, learning Hibernate can be difficult because its a very large framework and there are many important concepts to understand in order to use it effectively in a real-world project. This course is designed to make the getting started with Hibernate as easy as possible and focus on the most important things that you need to know first. The course starts with the basic introduction of Hibernate and how it works and then goes on to explain how to set up Hibernate with a real MySQL database installation. After that, you learn the basics of mapping, which is one of the most important things to understand about Hibernate. It not only covers basic one-to-one mappings but also covers some of the complex mapping situations like mapping collections and different relational mappings, including one-to-many and many-to-one. It will also teach you how to use Hibernate's built-in HQL and use a more object-oriented approach with the Criteria API. In the end, you will learn about more advanced features like caching and interceptors, which are important for experienced Java developers. That's all I have on some of the best courses to learn Hibernate and JPA online. Java and JEE developers can take these courses to master these two persistence technologies for developing Java applications. Having Hibernate and JPA on your resume will make you eligible for many Java web developer roles where companies look for Spring and Hibernate experience. If you already know Hibernate and JPA and are looking for an advanced course to take your knowledge of Hibernate and JPA to next level, then I suggest you check out the High-Performance Java Persistence and Hibernate by Vlad Mihalcea, a Java Champion and one of the top Hibernate ORM project committers to understanding the inner workings of databases and frameworks to improve the performance of enterprise applications. If you haven't learned the Spring framework yet, you may want to check out my list of courses to learn Spring after Hibernate. Thanks for reading this article! If you like Hibernate and found these courses useful, then please share on Facebook and social network with your friends and colleagues. If you have any questions or feedback, then please drop a note. Lastly, if you are looking for a FREE course to start learning Hibernate, you can also check out Hibernate quick practical guide (with Java) basics. 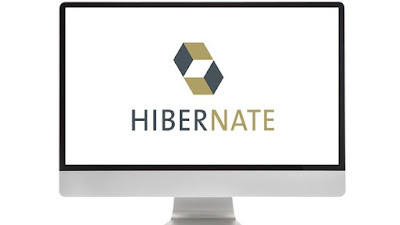 It's completely free and will help you to learn Hibernate from scratch.